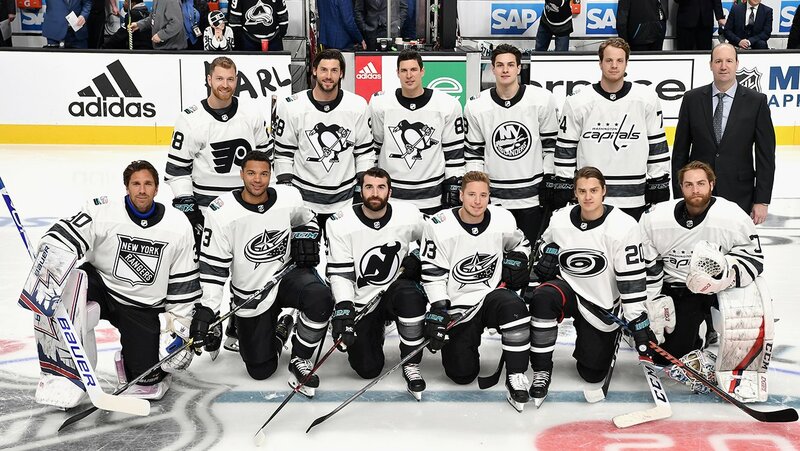 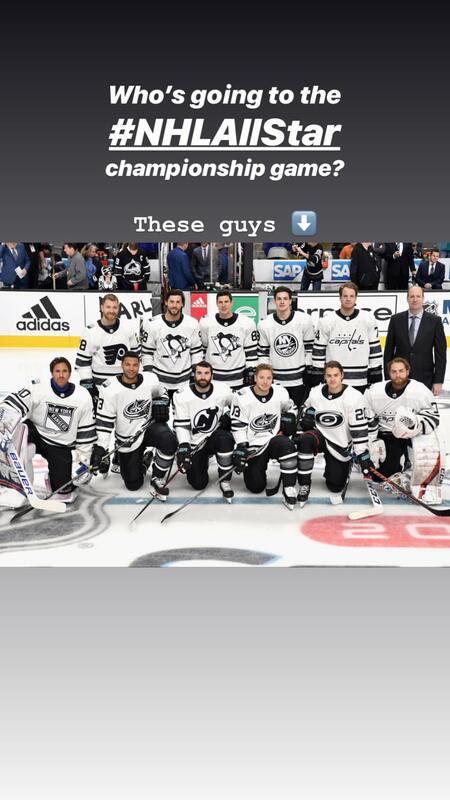 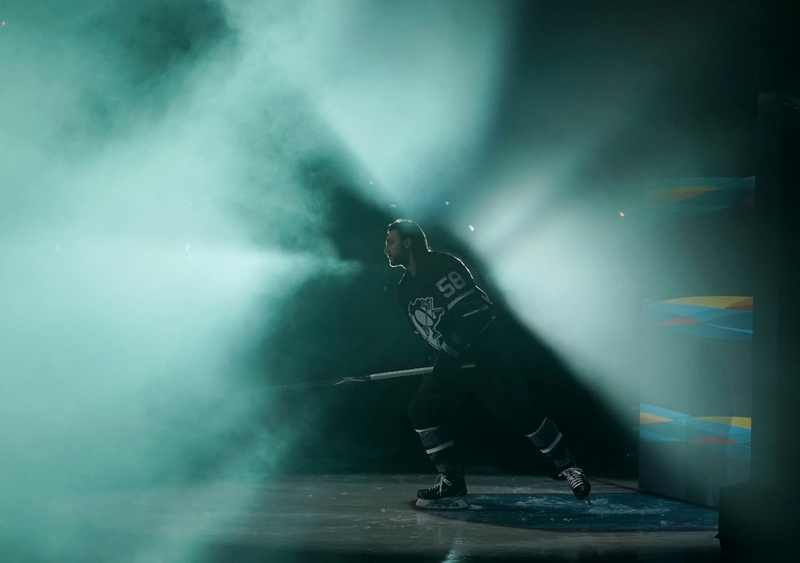 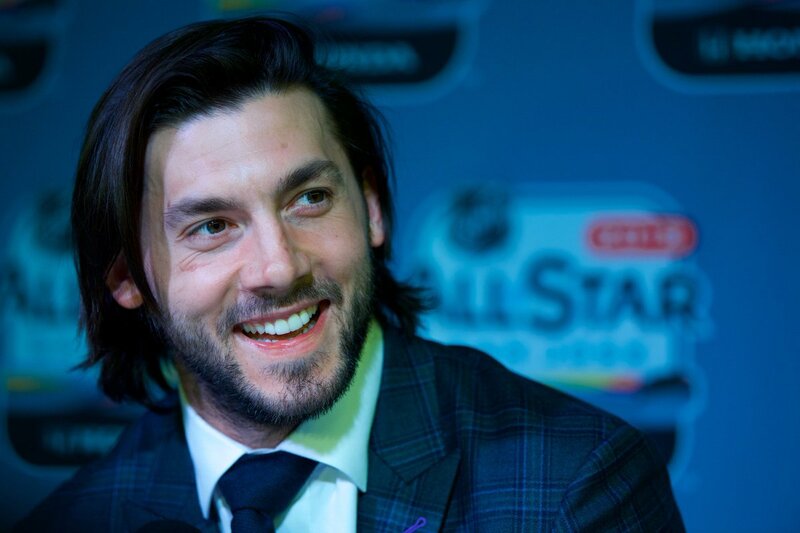 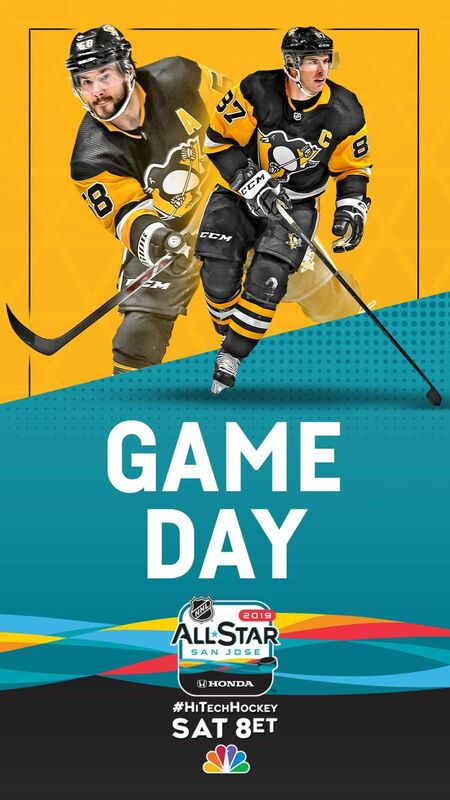 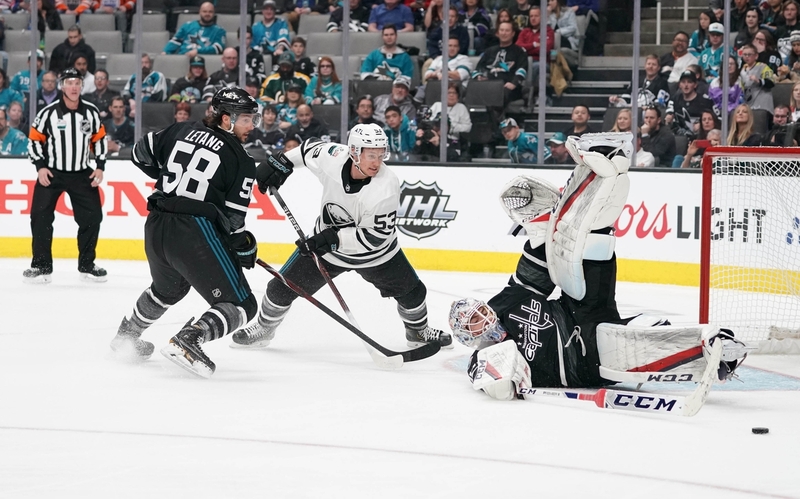 Kris Letang attended his 5th All Star Game weekend in San Jose, representing the Pittsburgh Penguins. 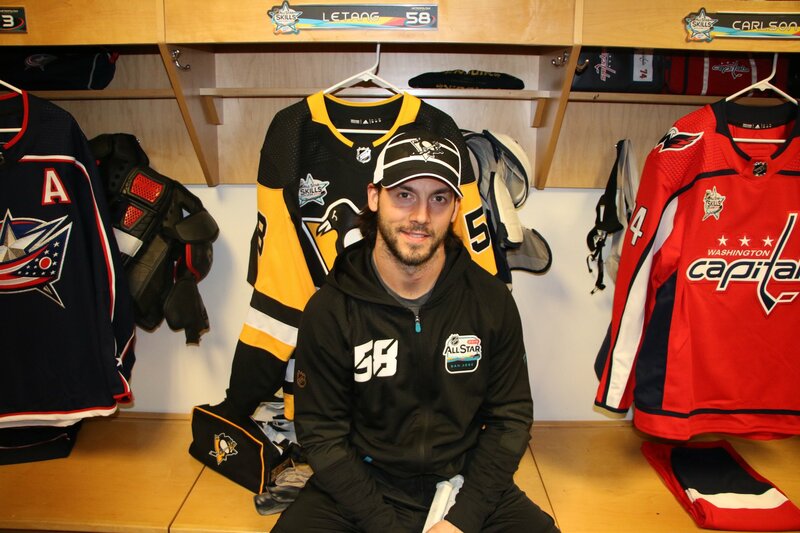 He participated in the Accuracy shooting competition, along side former teammate and friend Marc-Andre Fleury! 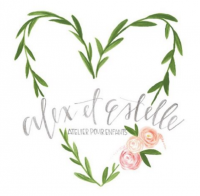 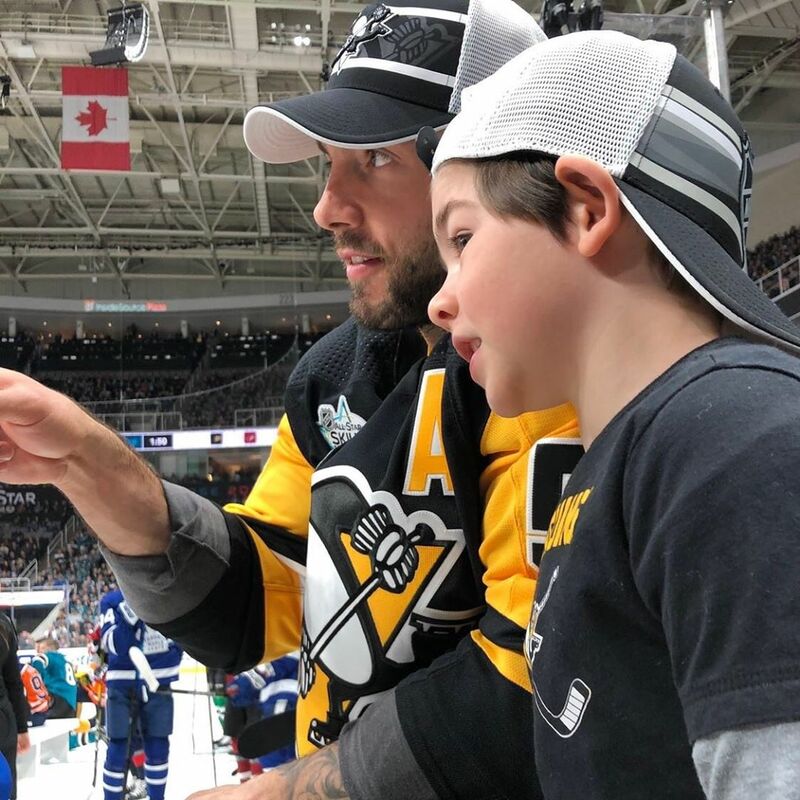 Kris’ son Alex was on the bench during the event enjoying all the great skills – check out the pictures below, it was adorable. 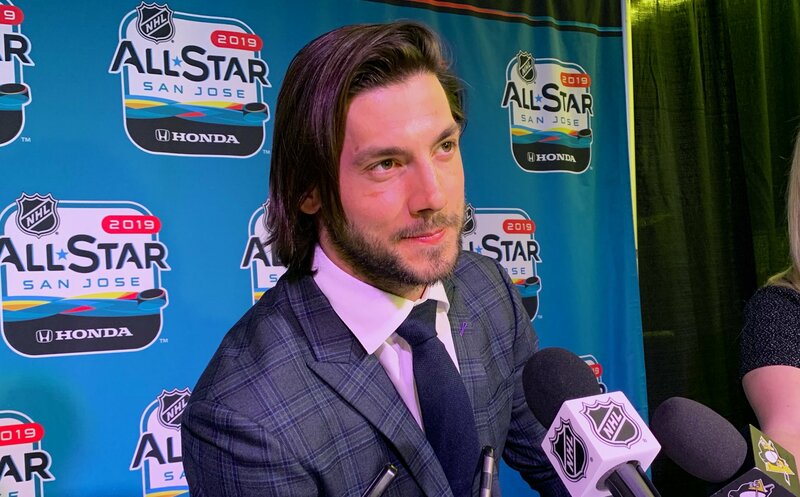 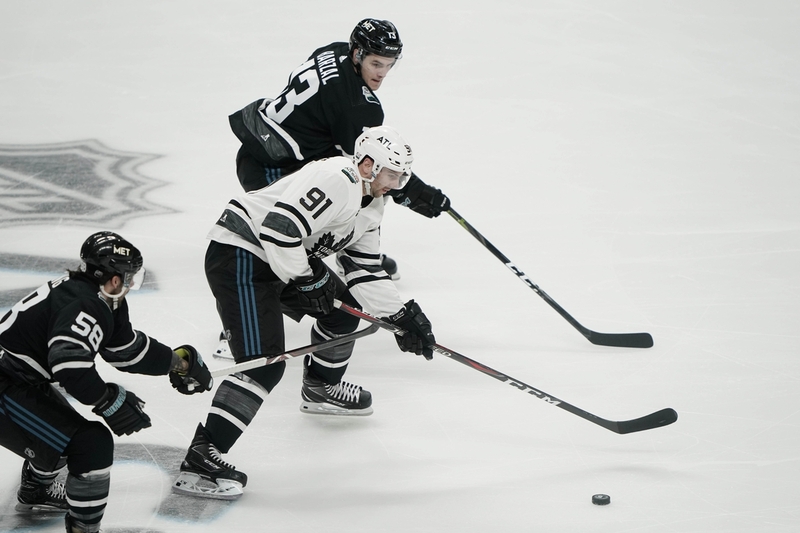 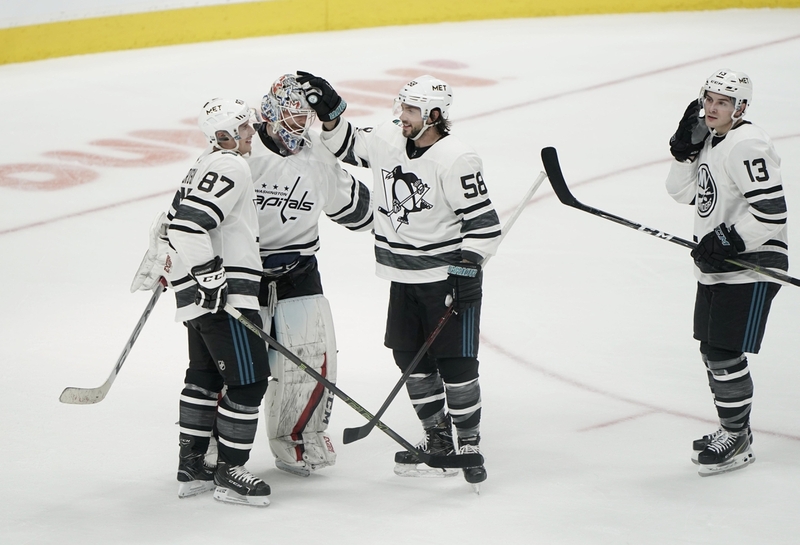 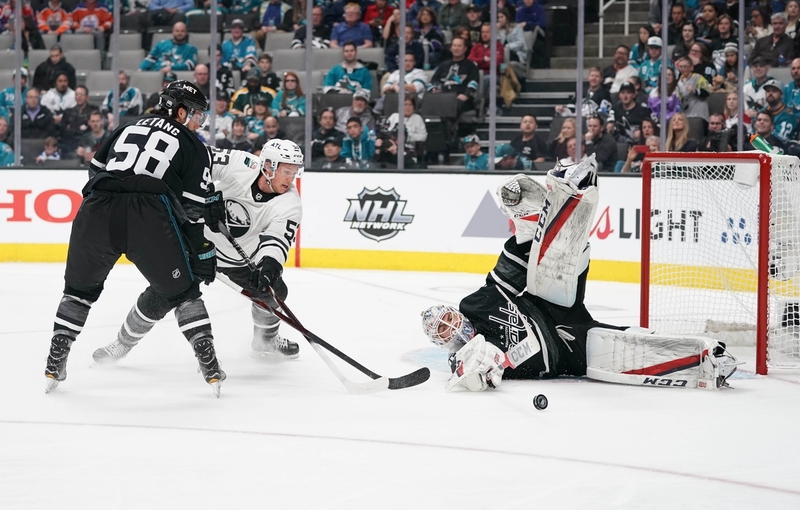 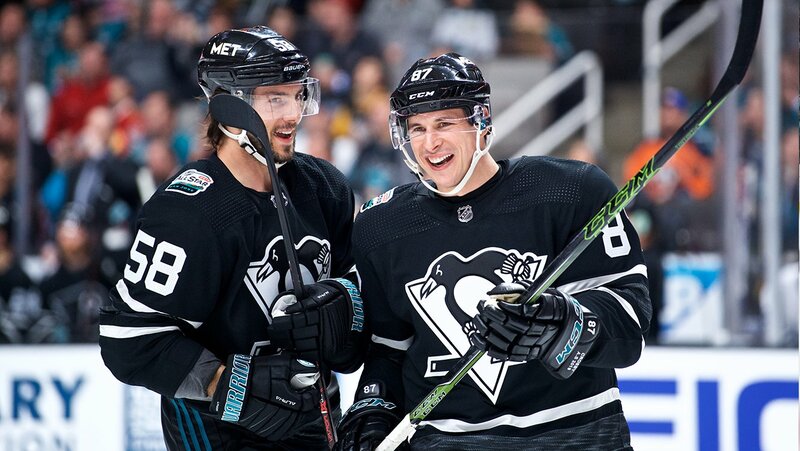 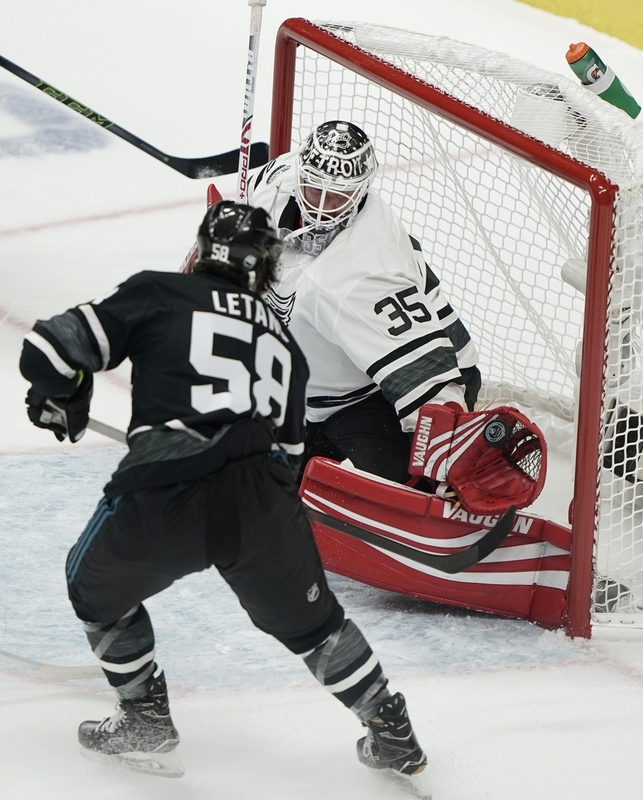 And Kris Letang – who was also brilliant all night, chipping in five points (2G-3A) of his own – pointed out that Crosby probably could’ve finished with even more points. 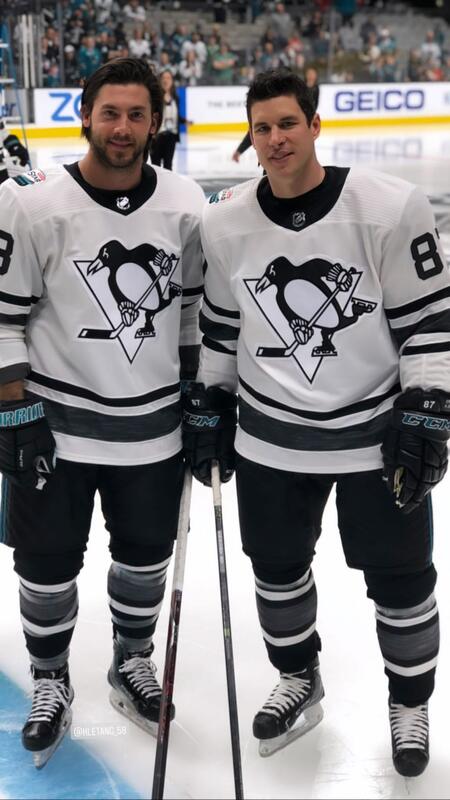 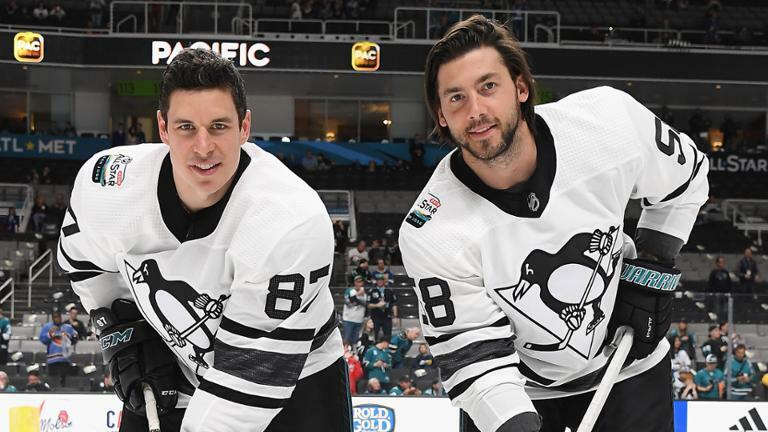 * With Sidney Crosby missing the NHL All-Star Skills due to illness, Kris Letang thought he would replace his teammate in the Accuracy Shooting event and maybe earn some bragging rights. 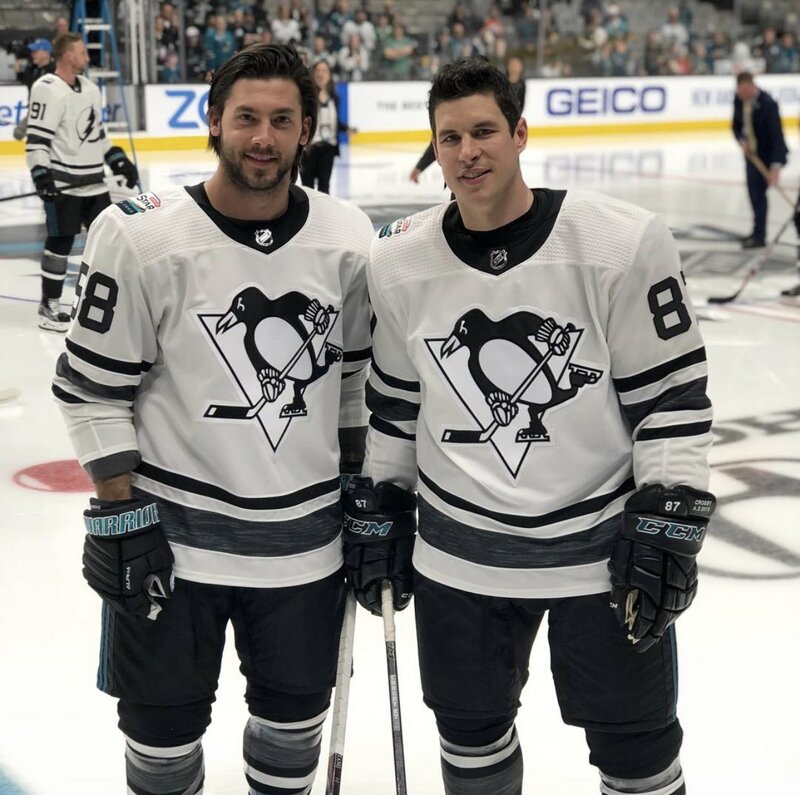 “I thought I could replace him and maybe beat him at his own competition, I guess. 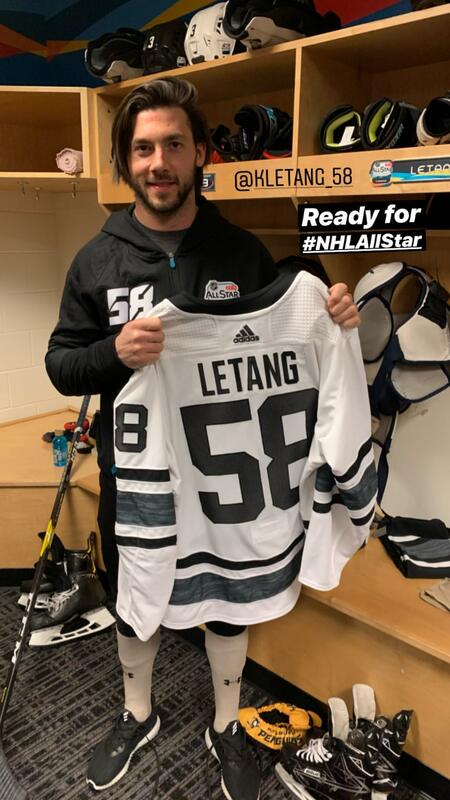 I don’t know,” Letang said with a laugh. 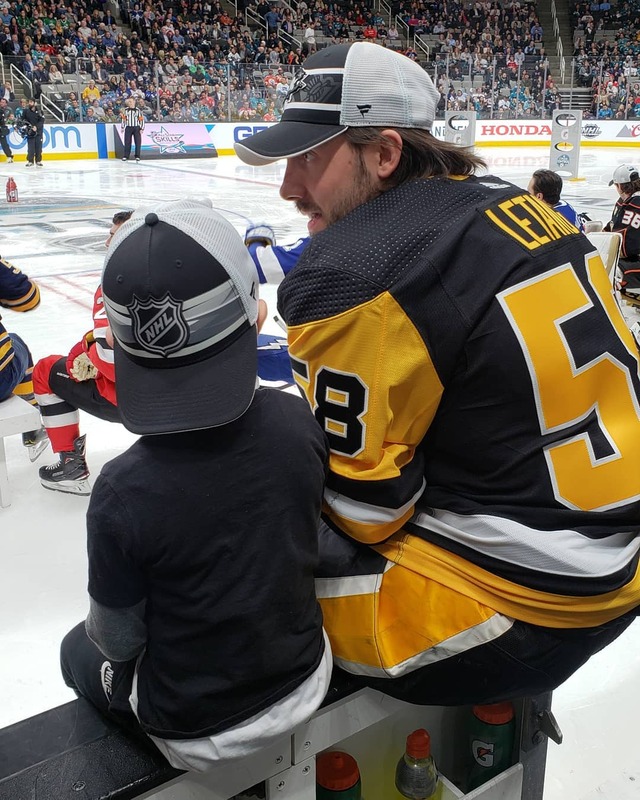 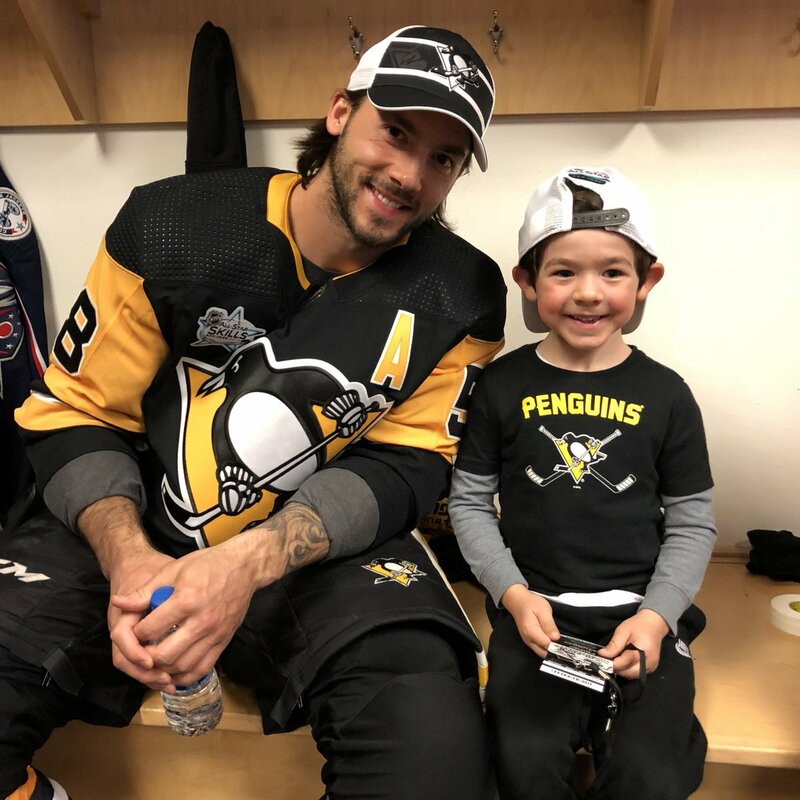 Five Questions with Kris Letang !